Dortmund - Despite coming back from two goals down to claim a 2-2 draw against VfB Stuttgart, defender Mats Hummels feels Borussia Dortmund have plenty of work to do if they want to stay in touch with FC Bayern München at the top of the Bundesliga table. Mats Hummels: We need more stability in defence. We've already conceded nine goals in five matches, which isn't just a poor record, but a very poor record. We need to defend better as a team - all eleven players have to play their part. Only then can you be successful. 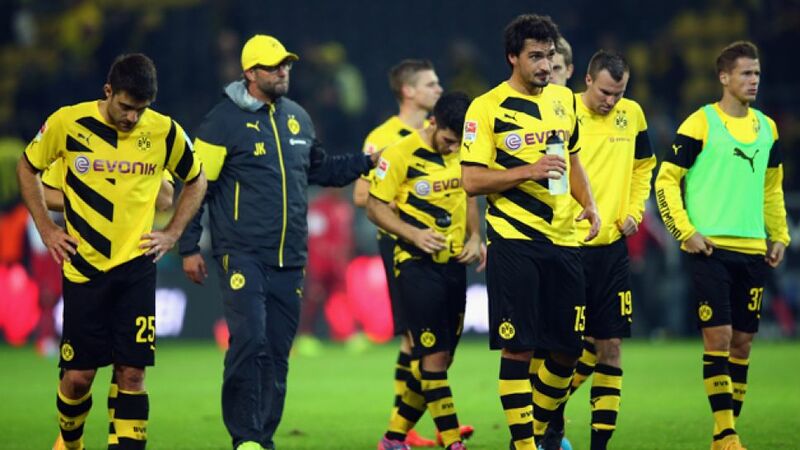 Kevin Großkreutz: We didn't play well at all and only had ourselves to blame for being 2-0 down. It served as a wake-up call though and in the end we managed to get a point, which gives us confidence for the derby. We're all really looking forward to Saturday. We'll analyse our mistakes and make sure we don't make them again in a hurry. Daniel Didavi: We played really well for 70 minutes and deserved to be in the lead. After Dortmund pulled a goal back they put us under immense pressure, so we can be satisfied with the point in the end. We've definitely taken a step in the right direction with this performance. Timo Werner: We wanted to get three points here today and came very close to doing so, but we're happy with a point. We played well as a team and put on a good performance for our loyal supporters.